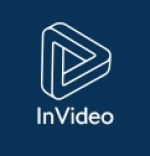 InVideo helps publishers transform their content into great videos. Currently, InVideo is used in large news houses like CNN, CNBC, Republic TV, Indian Express etc. InVideo also has started operations in South East Asia and is actively working on the sales efforts in that region. Team Size 50.